We made it! It was interesting trying to explain to my grandmother and other relatives why I had to carry around a few trays full of plastic containers holding caterpillars, a cooler full of plants, why I needed to hang a blacklight outside and check it throughout the night, and why there were live moths fluttering in plastic jars in the fridge in the morning. It was a great weekend. Met up with my wonderful boyfriend at my parents’ place, and we all drove up to the Adirondack mountains to visit relatives. Even though my wrist is still in a brace we went hiking, swimming, canoeing, and ate lots of ice cream. 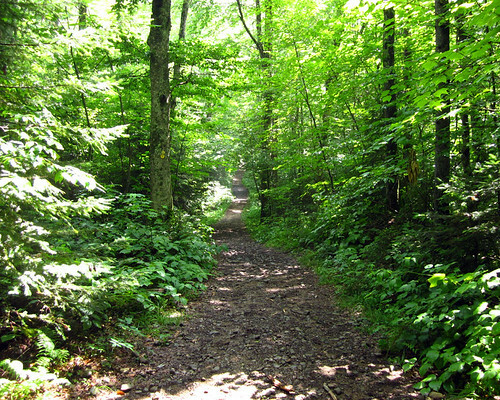 Here is an example of a beautiful trail… which I was hardly able to enjoy due to all of the mosquitoes. My boyfriend worked on teaching me sign language and helped me with tree identification. It turns out I need to know my plants pretty well in order to feed my caterpillars, so dating a guy with a degree in forestry is a bonus! Of course I saw some caterpillars. At first I thought this was some sort of cutworm, but it’s actually a noctuid in the genus Lithophane. Pretty cool. I didn’t have my camera on me when I saw the others, but there were a few neat geometrids in the trees. I got a bunch of Acronicta moths at my blacklight, mostly A. americana males, a male A. innotata, and one female A. hasta. So some good specimens to practice spreading, and one lady who has already laid me a bunch of eggs! My caterpillars all cooperated and handled the driving around ok, and were well fed with my constant attention. I was able to keep track of molts, even if I couldn’t measure them or photograph them right away. The past few days have been a flurry of catch-up, and right now I think I’m on track. 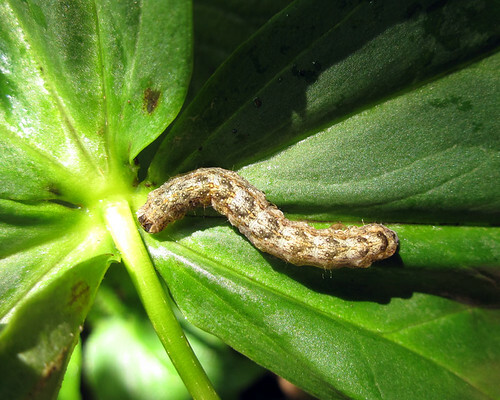 Posted on July 7, 2011, in Invertebrates, Lepidoptera, Update. Bookmark the permalink. Leave a comment.